When I first started reading again, after a long health-related slump, I looked at a lot of the books on my shelf that I wanted to read and decided to save them for later. I'll read them later. I'll get to them after some practice. I'll read them once I get a grip on reading again. That mindset was a fair idea back then, but it stuck around. I still find myself putting off certain books that I know I want to read right now, books I'm ready for. I just finished my 200th book since starting reading again! I know how to read and it's time for me to stop delaying. This year, I'm going to read what I want to read, when I want to read it. A lot of the books I delayed are actually outside of my comfort zone which is where this goal comes from. I didn't want to challenge myself too much back then, but now I'm looking at these books with a new perspective. I'm ready. So goodbye comfort zone and hello classics, non-fiction and even longer books. I'm not saying that I'm going to completely give up my cosy crime series, but it's time for me to push the boat out and see how far I can get on open water. And what is more out of your comfort zone than a book in a language you don't speak, eh? I'm currently learning German and I'd like to read at least one book in the language this year. I'm thinking The Thief Lord, or Herr der Diebe by Cornelia Funke. I loved that book as a kid and since I have the English copy I can just flip between the two when I get confused. And, y'know, it was originally in German so extra points for that. This is probably a goal for later in 2017 though! Kind of borrowing from my 2017 goals with this one but I felt like it fit with my reading goals because I do want to link my book buying with, not only how many books I'm letting go of, but how many books I'm reading. My current thought is that I'll bring in one book, for every ten that go out or read. Also, and this isn't explicitly to do with reading but more the potential of reading. I have a lot of books on my Amazon wishlist and I've been doing Books I Want to Buy and Why posts about them for a while, that need a clearing up. Something has come over me in 2017, my tastes have changed and my shelves need to reflect that! This is my first year making a Goodreads challenge that's going to be an actual challenge. 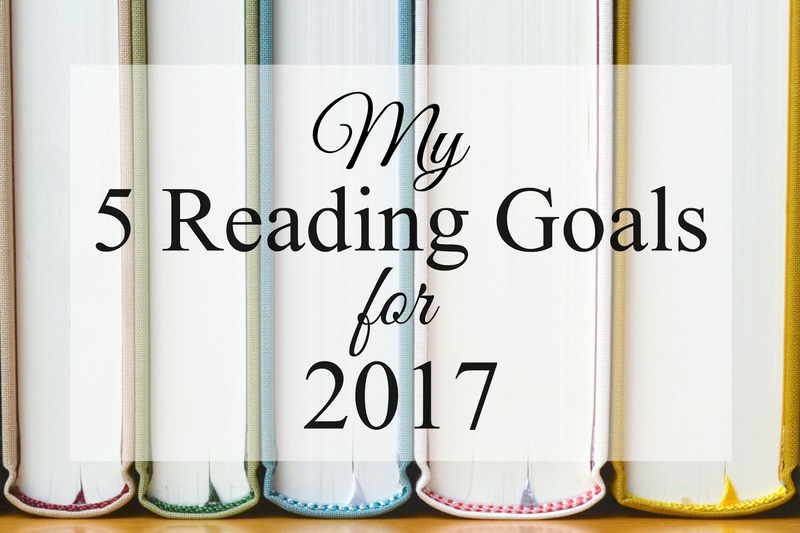 I managed 80 books in 2015 but not in 2016, so now I want to see if I can get back to that. I'm both excited and nervous about this, I want it to push me to read more but I don't want it to stop me reading longer and more challenging books. We'll see! After all, it's just a challenge on a website. Not the end of the world.